The Caribbean museum is located within the Caribbean cultural park and was opened to public in 2009. Being the first regional museum it houses a lot of collections which describe the evolution of Caribbean as a society. All the elements relating to social, cultural, economic, political dimensions are exhibited there. Besides this they have many exchange programs with foreign nations as well as their own publications. They have their own gift shop with interesting souvenirs and stationeries. An interesting visit with family and friends. The place hosts many cultural events seasonally. Refer website. Camera allowed but with permission. For additional prices refer website. Box office closes 1 hour before closing time. The first Monday of each month the museum is not open to the public for maintenance. How popular is Museo Del Caribe? People normally club together Antiguo Edificio De La Aduana and Iglesia De San Nicolas De Tolentino while planning their visit to Museo Del Caribe. Definitely worth seeing (in a bit of a sketchy area), lots of interesting knowledge of the region, some staff speaks English (to some degree, but they really give their best), majority of the recordings is in Spanish (if you don't speak Spanish, audio set is strongly advised) Overall a nice place to visit! 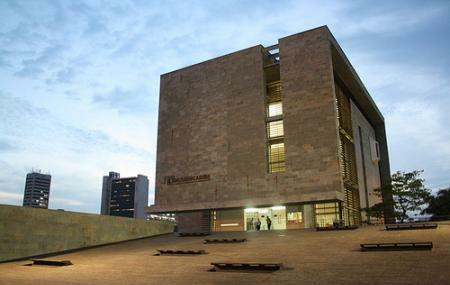 Amazing museum about the caribbean culture in Colombia. Completely worth visiting.